Last updated on March 21st, 2019 at 11:25 am. Hey all. I have the distinct pleasure of bringing you a very special post this evening. 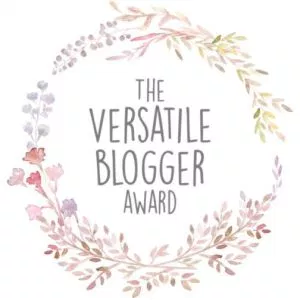 I was nominated for the Versatile Blogger Award by Edel. Thank you so much Edel! Edel’s blog can be found here. You can also find her on Facebook, Twitter, Instagram, and Pinterest. Be sure to check her out and follow! Update: I was also nominated by Lauren of Bustin Out Beauty! Thank you, Lauren! Be sure to Follow Lauren on Twitter, Instagram, Pinterest. The Versatile Blogger Award is given to exceptional bloggers who really stand out. Needless to say, I am honored to have been nominated. That said, let’s get to it! Nominate those 15 bloggers for the Versatile Blogger Award — include a link to their site. I have nominated the following blogs. 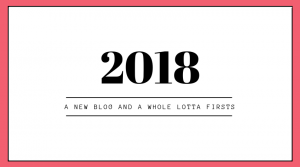 These blogs are from people who not only write great content, but are just great people overall. Be sure to check them out as well. I was originally an English major in college because I loved writing and grammar (strangely enough). 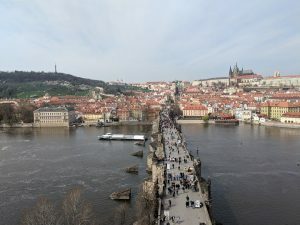 After freshman year, I chose to go into IT, but now I have gotten back into writing through this blog. I couldn’t be happier about it! I have now lived in three states where I didn’t know anyone before moving there. It has been hard but has forced me to hone my social skills, which is something I really needed. Not really a fan of scary/horror movies. Then again, I don’t watch movies much in general. I have never been outside of the country (unless you count Niagara Falls). I’m hoping to change that soon! When I was younger, I had what was apparently an accident on my bike. I came home, on my own, but was banged up. Later that evening, I was brought to the hospital and was diagnosed with a concussion. Not only that, but I couldn’t remember the incident. Thankfully, the rest of my memory wasn’t affected. I am very shy in real life, and blogging is a way for me to express myself better than I can verbally. So obviously I really enjoy doing this. Once again I want to thank Edel, and I hope to hear from my wonderful nominees! Thank you so much. A nomination coming from you is a great honor. You’re a great writer and you deserved this award. Congratulations! You’re very welcome. I’m happy to be able to nominate you all! Thanks so much for the nomination and congrats on getting the award yourself! Looking forward to checking out the other bloggers. There are some great ones here, that’s for sure!